The Best Magician in Ontario is a pirate! The Best magician in Ontario is a Pirate! Captain Corbin the magical pirate has been called one of the best magicians in Ontario and there is no secret to that. Corbin has been performing all over Ontario and beyond for well over 20 years. His experience and skill show through at every special event he performs at. Captain Corbin performs many different types of shows. Large stage magic and illusion productions in theatres or at banquets and award ceremonies. Corbin performs smaller shows at libraries, school assemblies, fairs and festivals. Captain Corbin also performs at private functions, children’s birthday parties and the like. There are many reasons why Captain Corbin is one of the best magicians in Ontario. Corbin’s many years of experience have trained him to expertly handle any situation that comes up. His skilled sleight of hand is incredible, but more then that Corbin’s family friendly character is charming and will get everyone children and adults laughing. 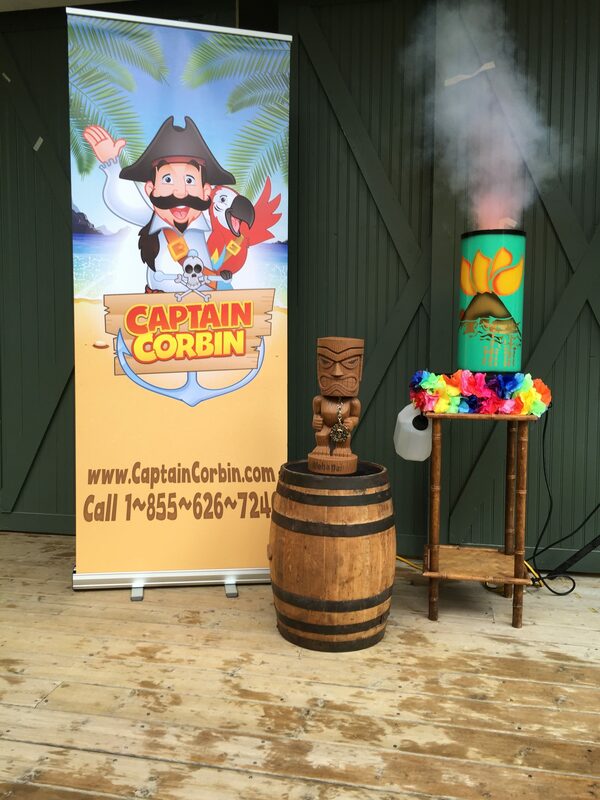 Having Captain Corbin at your event is a sure fire way of putting a smile on everyone’s face. 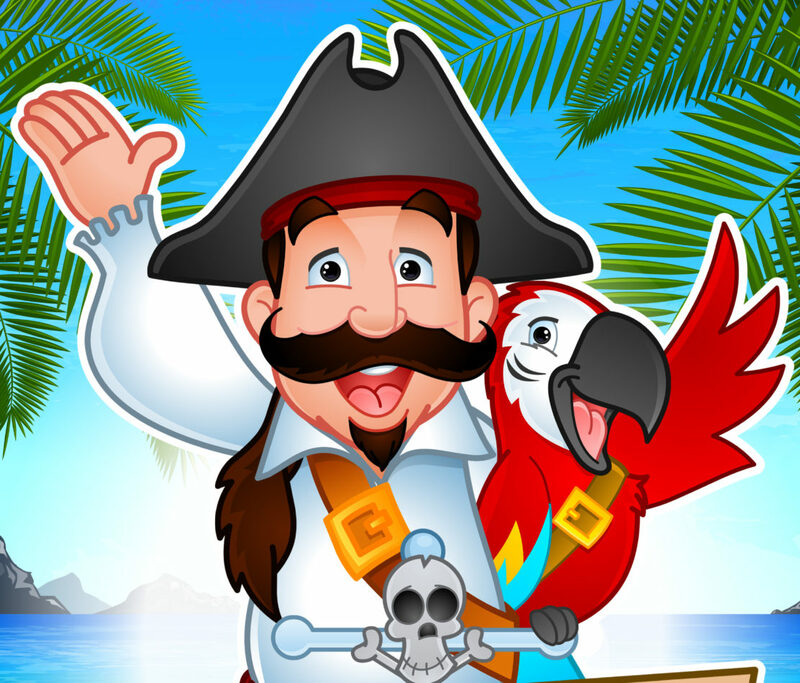 A Family Friendly pirate makes a great entertainer for your special event. For everyone’s safety Captain Corbin obtains a police check every year as well as a vulnerable sector check. This is something many children’s entertainers do not do. Copies of both checks are available upon request after booking a show. Captain Corbin the pirate magician has performed on stages all over Ontario. And you can find him often at Storybook Gardens in London, At the Great wolf lodge in Niagara Falls, at the Ripleys aquarium in Toronto and many more public and private organizations. many references can be found online on his website or youtube channel. In other words, many people know the Captain is the best magician in Ontario. Yarr as a pirate magician, I really enjoy performing my pirate themed magic shows at schools, libraries and theatres all over North America. My shows are always very interactive and fun. Often I like to add an additional theme to my shows to mix it up and thrill the groups. Over the years I’ve performed shows with educational magic shows, with reading themes and winter themed pirate shows. I also like adding fun themes to my shows such as my Tiki themed pirate magic show. The tiki themed show I call Captain Corbin’s Tiki Troubles show. And I’ve created a whole storyline and plot to go along with the show. It’s not just a magic show, its a pirate adventure show, very similar to a Saturday morning children’s television show and the kids love it. During the Tiki Troubles show, Captain Corbin the pirate magician shows the children a tiki statue he found on one of his troubles. The statue is supposed to Guard a treasure, but it also has a curse! The show progresses with the Captain trying to get the treasure on his own, but everything goes wrong. He realizes the curse happens when he tries to do things on his own, so he gets the children’s help. When Captain Corbin works together with his friends, he breaks the curse and the Tiki gives up his gold. It’s a great show with the message of working together! Once a year you can see me perform a short version of this show on stage at Storybook Gardens. The full show lasts apox. 45min. long, but at storybook gardens in London the show is slimed down to a 30min set. and of course at the end of the show Captain Corbin shares all his tiki gold with the kids!